Showtime is almost upon us. But before the curtain is drawn on “UFC 175: Weidman vs. Machida,” let’s take a look at the final promotional video created to hype Saturday’s pay-per-view broadcast. Middleweight champion Chris Weidman defends his throne against Lyoto Machida in the show’s featured attraction. 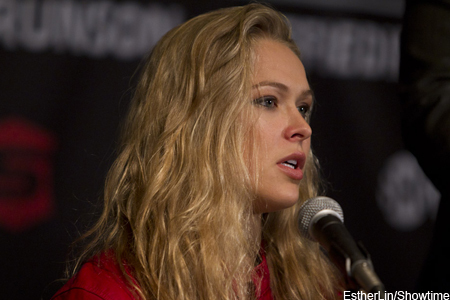 Reigning bantamweight queen Ronda Rousey (pictured) puts her belt up for grabs against Alexis Davis in the co-main event. Stefan Struve, who returns after an 11-month hiatus due to heart complications, and Matt Mitrione get third-to-top billing.